Clarendon's Stables Cottage - A quiet garden retreat for couples or a family! A beautiful self contained two bedroom cottage overlooking gardens. The enchanted grounds of Clarendon are just outside Sassafras Village - a truly delightful setting, tucked quietly away off the main Mount Dandenong Tourist Road. Clarendon's luxury self contained cottage accommodation is private, peaceful and romantic. Two acres of English country gardens and meadow nestle among a huge variety of beautiful century old trees. The Cottages are within easy walking distance of Sassafras Village and Sherbrooke Forest where you can see the lyrebirds foraging happily. A gas log fire, double spa, fully equipped kitchen and private deck with BBQ are just some of the many features of our Stables Cottage. Our 'petite suite' Dovecote Cottage doesn't have a spa, kitchen or fireplace but just oozes cosiness and is perfect for a single traveller or budget conscious couple looking for a short stay. Generous breakfast provisions such as cereals, milk, bacon, eggs, tomatoes, mushrooms, juices, fresh country bread, jams and butters are provided for the first 2 mornings of your stay as well as complimentary fruit, biscuits and port and chocolates. THE STABLES COTTAGE - The Quiet Garden Retreat! Featured here is our two bedroom Stables Cottage. It is ideal for one or two couples or a family of four and is available exclusively for your use. Each of the bedrooms have luxurious queen size iron beds with electric blankets. The main bedroom has double French doors opening onto your own private deck. This luxury self contained cottage has reverse cycle air conditioning, a gas log fire, fully equipped kitchen, cosy lounge/dining area and beautifully appointed bathroom with double corner spa, separate shower and vanity. The lounge area has twin 2-seater couches, a gas log fire and a beautiful picture window overlooking the garden down to a huge golden elm tree. A large LCD TV, DVD, CD/Radio and iPod/iPhone/iPad docking station provides for your entertainment. There is free WiFi also. The main deck with outdoor furniture and BBQ allows you to wind down while overlooking the gorgeous garden, listening to the rosellas and kookaburras. 11 Clarkmont Road, Sassafras is located just off the Mount Dandenong Tourist Road within easy walking distance of the popular Sassafras Village, the home of Miss Marples Teahouse & Sherbrooke Forest, the home of the Lyrebirds and close to the excellent shopping, cafes and restaurants of Olinda & Mt Dandenong Villages. The Dandenong Ranges are centrally located to the Yarra Valley Wineries, Phillip Island and the Melbourne CBD and just 70 minutes drive from the Melbourne International Airport or 45 minutes from Melbourne CBD. Melways reference: Page 66 D12. Chris loves running through the many trails of the Dandenong Ranges. Gayle loves music, property, design, decorating trends and chatting to people. We both work well together as a team in maintaining, cleaning, gardening, redecorating and hosting. We thrive on doing that little extra for our guests and love to hear feedback on all aspects of their stay. Whilst we like to have a chat, we are careful to not intrude on our guests who love our cottages for the peace, privacy and serenity they provide. We fell in love with Clarendon within minutes of walking through the gardens and cottages. So serene! Close enough to walk into Sassafras Village but off the main road so it is very quiet and peaceful. All the cottages have gorgeous garden views through large picture windows so you can sit and relax, watching the birds feeding. The large bathroom features a corner double spa! Sassafras, Olinda & Mt Dandenong are quaint villages where you find quirky gifts, craft, fashion and antiques. Sassafras is a beautiful 1.2 km walk and is the home of the famous Miss Marples Teahouse. A warming no mess gas log fire is great to curl up in front of to watch the birds feed. Two 2 seater couches are great for snuggling on. Full size fridge & freezer. A fully equipped kitchen although no dishwasher sorry. The dining room is just outside the kitchen and seats 4 people. A range of kids and adult DVDs are provided. A small selection of books and magazines are provided. A range of CDs are provided. Kids toys including a wooden train set, books and board games help amuse the little and bigger kids! Guests are free to wander around Clarendon's gardens featuring camellia, rhododendron, maple and pine trees as well as a range of flowers and rose bushes. We were so impressed with the thoughtfulness and generosity of our hosts. The cottage was spotlessly clean and beautifully furnished. All the little things from the games, magazines and dvd's to the incredible breakfast supplies and the cosy fire awaiting us on arrival left us wanting for nothing and able to just relax and enjoy our stay. You can tell that Chris and Gayle take real pride and joy in providing a wonderful experience for their guests. Thank you so much for a great weekend away. We can't wait to visit this lovely area again. Thank you for your wonderful and detailed review Kelly. It is fabulous hosting guests that appreciate all we do - it makes it all worthwhile. Look forward to seeing you again. We had a lovely weekend in the Stables Cottage. On arrival our host Chris was extremely helpful on what to do in the area and where to eat. The Cottage itself was very cosy, quaint and comfortable. The beds were very comfy as were the lounges and especially the gas log fire. The Breakfast Hamper and other goodies left by Chris our host was just fantastic and catered for all our needs. The property is in a perfect spot and enabled us to explore the area all within close proximity whether it was bushwalking, checking out the many cafes or shopping. We will definitely be back and stay any time we are over this area again. Thanks so much for a great review Darren. We are extremely happy that you enjoyed your stay at Clarendon and appreciated all that we and The Dandenongs have to offer. We certainly hope to see you again. Clarendon Cottages are really a wonderful place to stay.The accommodation is beautiful, elegant and comfortable. Surrounded by lush gardens, a delightful village. A few days of perfection. Clarendon Cottages is easy walking distance to Sassafras Village, the home of the famous Miss Marple’s Tearoom and Sherbrooke Forest where you can see the lyrebirds foraging happily. Within minutes of Clarendon you can be wandering around the quaint and charming villages of Sassafras, Olinda & Mt Dandenong or be visiting a number of the Great Gardens of Victoria. In 10 minutes you could be riding on the legendary 'Puffing Billy' steam train or swinging through the air at Trees Adventures in Belgrave, walking the Kokoda Trail 1000 steps at the foot of the mountain or looking out from the Sky High Observatory at the top of Mt Dandenong. In less than 20 minutes you could be picking berries and cherries in Silvan. In 45 minutes you can be visiting the world renowned Yarra Valley Wineries or the Yarra Ranges National Park. The choice of destinations is endless! 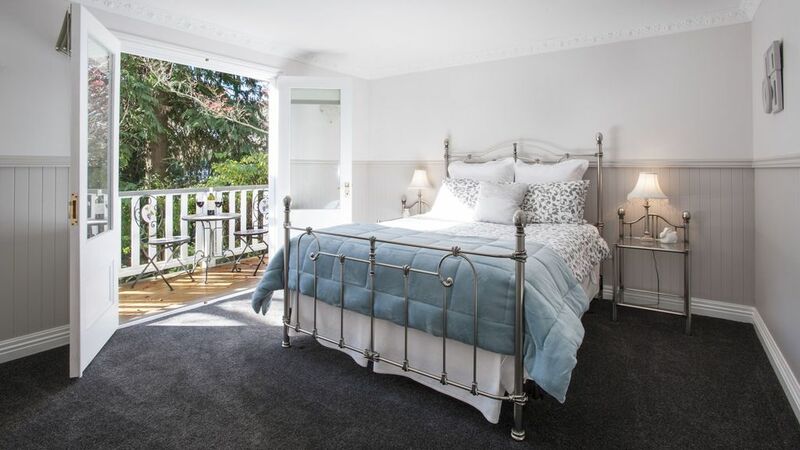 For our overseas and interstate guests, Clarendon Cottages is in the Dandenong Ranges only 60 minutes' drive from the Melbourne International Airport and 45 minutes from the Melbourne CBD.